David began offering comprehensive financial management services to individuals, and not-for-profit organizations in 1996. 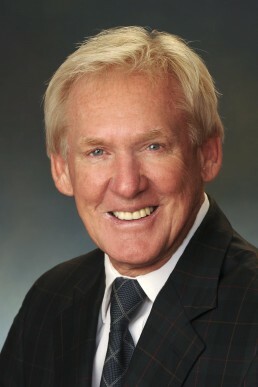 He presently serves an extensive clientele through the firm of Buckley Patterson Shaw Securities / Worldsource Securities Inc. With 11 years of experience in public practice with a chartered accounting firm and 23 years as Vice President, Finance and Administration of Region 2 Hospital Corporation, David’s experience in the area of financial management is extensive. During his tenure with the Hospital he managed their investment portfolio, which was in excess of $30 million. In 1998 David was honored by the NB Institute of Chartered Accountants when he was awarded the designation “Fellow Chartered Accountant” for his outstanding leadership and contribution to his profession and the community. This is the highest honor bestowed by the C.A. profession on its members. On a personal note, David is married to Lynda and they have three adult children, Kimberly, Tracey and Craig and nine grandchildren. David is an avid golfer, enjoys travelling and spending summers at his cottage on the peninsula. Worldsource Securities Inc., Member of the Canadian Investor Protection Fund www.cipf.ca, Member of the Investment Industry Regulatory Organization of Canada (IIROC) www.iiroc.ca and sponsoring investment dealer of the JBS Group Wealth Consultants, Buckley Patterson Shaw Securities and Jobe Wealth Consultants. Learn about advisors regulated by IIROC IIROC AdvisorReport.